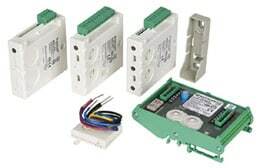 The NFX-MM1M is an addressable input module. It will interface with contact devices such as security contacts, sprinkler flow switches and call points. It monitors the cable in the same way as a non-addressable zone, using an end of line resistor on a two wire circuit. In addition to transmitting the supervised state of the monitored device (normal, open, or short), the full analogue supervision measurement is sent back to the panel. 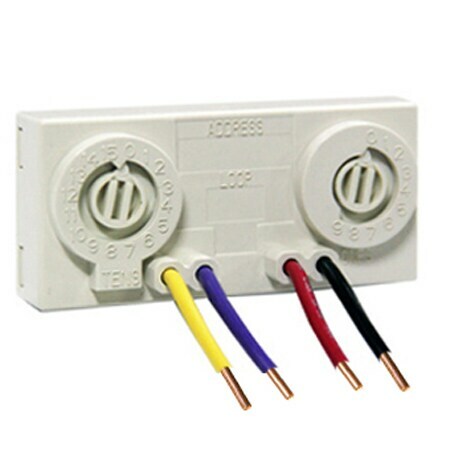 The compact size allows it to fit inside devices or junction boxes behind devices. Its size and light weight allows it to be installed without the need to be rigidly mounted.